Castries Mayor, Peterson Francis, has told reporters here that the Saint Lucia Civil Service Association (CSA) believes that politics comes before the welfare of workers. Francis made the remarks Tuesday at a news conference during which he responded to recent statements by CSA General Secretary, Claude Paul, about late payment of salaries to monthly paid employees of the Castries Constituency Council (CCC) and assertions that the CCC’s coffers are empty. 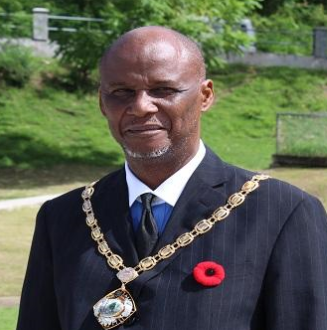 “It would have been ideal if the CSA General Secretary could have met to first dialogue on his assumptions and guessing game.But you see, it is only convenient to them based on their agenda.It is only because they believe that politics comes before the welfare of workers,”the Castries Mayor told the news conference. He asserted that the CSA General Secretary was actually gloating that the CCC could not pay staff on time. “Now, I do not know what he means by on time, because when the General Secretary called it was the 27th of November. There is no agreement in the collective agreement that we have made for any stipulated pay date,” Francis said. He disclosed that Claude Paul called a top CCC official and was gloating that the council would not be able to pay on time at the end of November. “What do you mean by that? Instead of the General Secretary making sure that if there is a problem that workers could be paid in a timely fashion, he is actually challenging us that we will not be able to pay for the month of November,” the Mayor told reporters. Francis said that the CCC will continue, as it has been doing, to look after the welfare of its employees. He declared that it was obvious that the CSA is seeking to get into political office and expressed the view that when the General Secretary speaks, it is the CSA that is speaking. Amazing everything in this tiny land mass is so politically motivated. For a population of just 170,000 not for find a means of cooperating for the good of this tiny land mass is amazing. For reference the Indian Ocean Tsunami (2004) killed 250,000 in minutes. Haiti earthquake (2010) killed 160,000 in minutes. Atomic bombs killed 155,000 instantly. Our entire population can be decimated in an instant. Stop wasting your time allowing these foolish politicians to use us to push their agendas and fuel their greed. Excellent comment Tymz, I wish the whole Caribbean can get this message. May be they will have a different perspective, instead of this fighting each other while those politicians live large. Mr. Major, what’s about you? I Mean: What do you believe in? Mr. Mayer you are so right on that…..
What’s wrong with this JAC$A$$? Every time the Union tries to procure better working conditions or an increase in salary for its members, they become the enemy of the political party in government. They must sit aside and watch their struggling members suffer financial embarrassment. I want to encourage the union executive to ignore the noise coming from sycophantic parasites of the governing party. Ensure that your hard working members are treated with respect and dignity. Make sure also that not only they get paid on time but they receive livable wages. Don’t ever become distracted on intimidated by these loud-mouthed, empty barrels for your interest and theirs are diametrically opposite. Give the ignoramuses a deaf ear.